Official in attendant submit that the summary with regard to Special Allowance @ 20% was submitted to the Honourable Prime Minister for approval and there were certain quarries, however after answering the same summary has been again submitted to the Honourable PM for taking final decision about the matter. Further submit that they are not in position to tell any specific date for the approval of the summary, however showed their expectance that the same will be returned within three weeks. Officials in attendant are directed to submit follow up letter in terms of order passed by this court so that this issue may be settled as the employees of different departments are lurking in the arena of uncertainty since long and approaching the court time and again. It is expected that the authority shall take the final decision by the end of this month i.e 28-02-2014. In view of the matter, it is held that all the Federal Govt Employees and the employees of other allied departments are equally entitled to 20% special allowance which has been given to the employees mentioned in the Notification. This post has been delivered by Mr. Azmat Ullah Yousufzai, Administration Directorate Main Office, National University of Science and Technology (NUST). Mam, It is suggested that the case of 20% allowance may be taken up right now as N league is under pressure and it will not disobey any court decision. please update about the special adhoc releif allowance. the case is pursuing by someone or not? Dear Hafiz filhal koi update nahin hain. Dear Atta ur Rehman still no updates. Dear Waheed pay scale revised hona bohat mushkil lag raha hay. Bus 10 to maximum 15% ki umeed rakhain. Wats about budget.... How much increase may be expected.....? wat about 20% special Allowance? Dear Imran filhal 10 to maximum 15% are chances. 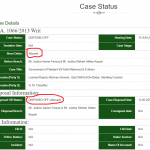 What is the next date of Intra Court appeal. Secondly, The decision of Single Bench is in June 2013 and how it is possible for Govt. to appeal in double bench whereas more than 03 months has been passed. Because appeal can be made within 03 months after the decision of Single Bench. Dear M. Hanif yeh to koi qanoon daan hi bata sakta hay keh kia aisa ho sakta hay ya nahin. Not confirm about the next date of hearing. 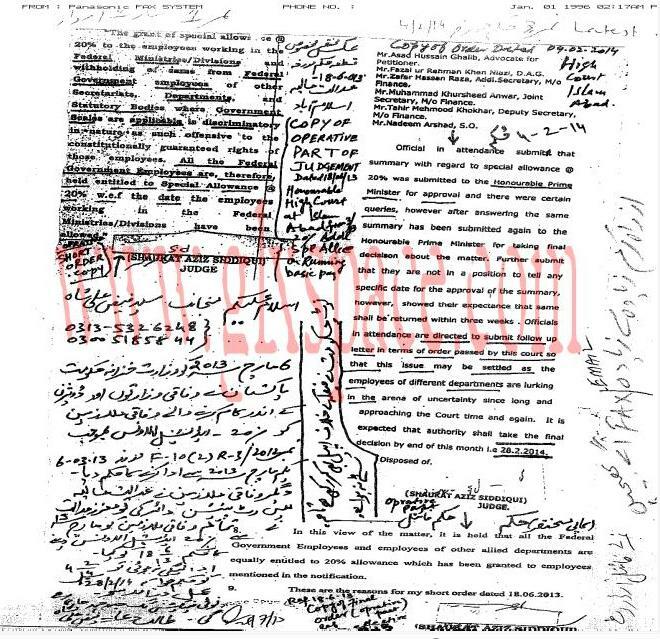 I am govt employee pl conform that for the purpose of house acquisition the owner of the house can nomenite the wife of the occupant as special power of attorney for the receving rent in this rggard any notification of Govt of pakistan. Dear Abdul Razaq, I m not confirm. yes the owner can nominate any person. I think 20% case is shutdown completely. no hope for restarting . any answer with its update ... two weeks passed no regular updates on it. Any updates of hearing of salary increase news 20% ? Dear Shahid Aslam still the same updates. Any update regarding next date of hearing....? Dear Imran still no updates about 20%. Dear Minhas abhi koi update nahin hay. Madam, Kindly intimate that after suspension of 20% Special Allowance order. Now what will happen whether it will go in the favour of Government or Employees? Waiting for your valuable comments. Dear Subhanullah, still no updates. Islamabad (Faisal Kamal Pasha / The News Lahore / Tuesday, March 18, 2014) – A division bench of Islamabad High Court (IHC), comprising Justice Riaz Ahmad Khan and Justice Noorul Haq N. Qureshi, has suspended the orders of another single bench that on June 18 last year ordered 20 percent increase in the salaries of all federal government employees on account of ‘special allowance’ in accordance with the employees of secretariat. 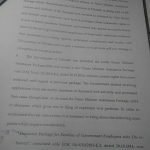 Islamabad High Court - IHC LogoThe federal government through Deputy Attorney General (DAG) Sheikh Mohammad Yaqoob challenged the June 18 orders of Justice Shaukat Aziz Siddiqui saying that the said allowance would cost Rs50 billion per annum to the national exchequer that the government could not afford. 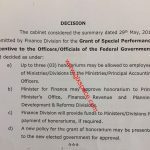 The DAG said 20 per cent special allowance was approved for those employees of the Prime Minister’s Secretariat who sat late in the office and were frequently asked to work even on their weekly off days. The federal government is already paying 300 per cent special allowance to the superior judiciary’s employees and 100 per cent to policemen and the staff working at the presidency, the DAG further said. 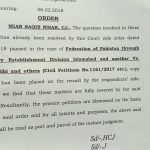 He argued that the IHC single bench in its order did not exclude the departments where the employees were already getting the said allowance and directed the government to pay additional allowance to the tune of 20 per cent of their basic salary to all employees of federal government and its allied department and ministries. The DAG prayed to the court to set aside the June 18 decision. 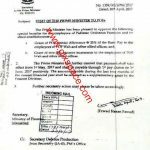 The former government of Pakistan People’s Party (PPP) had approved the special allowance on March 6, 2013 for the employees of Prime Minister’s Secretariat. The employees of the Federal Government College Teachers Association, Capital Development Authority, Pakistan Council of Science and Technology, the National Archives, the Departments of Communication Security and of Libraries, the National Centre for Rural Development, Pakistan Public Works Department and the Cabinet Division had challenged the increase and prayed that they be also given the same increase. what happened now next. explain anyone ? 20% special allowance which was challenged by the Government in intra court has been suspended by the double bench of Islamabad High court. The news source is express news. Now dear wait for the orders. Today at near about 6 PM at Dunya NEWS channel ticker was running " That decision regarding 20% SPA has been suspended (Faisla Moatal Ho Gia hy) i could't get more about the news. Please Get latest update and clarify that what happened Today 17 Mar 2014. I saw breaking News on GEO News today about 6pm regarding 20% that Government has filed an intracout appeal which Government win the case and court suspend the decision of Justice shoukat Aziz. Salam... Is there any update regarding date of hearing of intra court appeal filed by govt against 20% special allowance......? was it heard on 12 March, 14 or not? Wats latest? Dear Imran Still no updates in this regard. 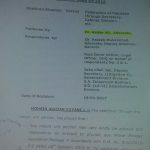 I am lession from some source that on 12.3.2014 hearing of 20% allowance what proceed on 12.3.2014 pl update. Salam... Is there any update regarding date of hearing of intra court appeal filed by govt against 20% special allowance......? What about latest update of 20% allowance. Dear Razaq & Shahid Aslam, I have not yet any updates about 20% after 28-02-2014. Any news about 20%, case is blast? Please share update if any regarding 20% special adhoc relief allowance. Dear Hafiz still no latest updates. Dear Waheed All is possible. Dear Waheed u can download the same chart from this website. Aslamualaikum, kisi k pas koe news nahi k 28feb ko kya hua , date extend hue ya koi faisla . one week hogaya koe update nahi.? Any update about hearing on 28th Feb 2014?? Dear Friends 28/02 ko Notification Jaari nahin hua. lekin hearing mai hua kya? next hearing hogea aur kb? ya case hatam hogaya? kuch to kaha gya hoga court mai? Is there any update about 20% court hearing after non implementation of court order of 4th February. When will be the next date of hearing? Any update abt 20% ? Dear Maghfoor according to the sources Govt has not issued the Notification of 20% on 28-02-2014. Dear Maghfoor next yeh hey key aap bus sabar karain. Today is 28 feb. What happened any update please? is 2013 appointee applicable for AR10, AR11 and AR12 ? Dear Asim they are eligible for these allowances. No dear, newly appointees of 2013 ae not applicable for AR10 , AR11 , AR12. AS PER RULE POSITION. Dear Zahid plz send me the Rules if you have. i think government will delay till june. Dear Nadeem it should be. only three days remaining what is happening in finance ministry? any news please? Dear Imran Zuberi, update wohi hay jo is post main mention hay. Na jane hukumat notify krene me q delay kr rahi hai ? Hukumat ko itna behis nahi hona chayee, AAla adalaton ke ahkamat pr amaldaramad hona chaye , pata nhi q delay kr rahi hai hukumat. The honourable court orderd on 4th Feb 2014 to implement this decision more than two weeks ago but govt has not issued any notification. What does it mean and what will be the next step of the honorable court. Dear Hafiz, just see what happen upto 28th Feb 2014. Dear Maqsood agar In Sha Allah Notification jaari ho jata hay to sub ko milay ga.
Dear Maqsood, it will be on the running basic pay. June may notification jari ho jay ga Insha Allah and Mian & Company ki bhe jan chot jay gi or Awam bhe khush ho jay gi 20% le kar. Agar june mein notification hu ga then it means budget mein salary nahein bary ge phir ? Thnx for such a benificial post .. Mam can you plz give any information about the notification of not exetending the contract of federal govt employes.....if have plz share. Dear Basit just see the last few posts of mine site. Last Mar may announce howa tha ye allc or pir Mar aa gia hy Insha Allah Jun may yehe 20% de kar Jan Chora leni hy Mian and Company ne jab tak Ishaq Dar hy no hope for good. Thanks for such a nice sharing your web is really good forum for govt servants. You are welcome dear Raja Fazal. Dear madam thanks for updating this great news but where is copy of court order dated 4-2-2014. Madam thanks for apdate .plz dear b btaye k ab kb tk ye 20 % alownce fg employes ko mil jaye ga .ya phir jesa pehla huwa wesa hi ho ga .